Is it time for a new helmet? Did you know helmets are only designed to last 3-5 years?! 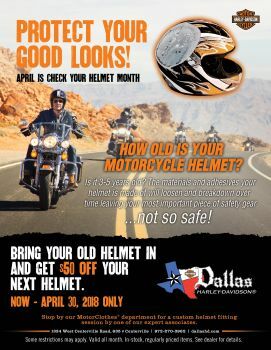 Bring your old helmet in and get $50 off your next helmet now through April 30th. *Valid all month. In-stock, regularly priced items only. Some restrictions apply. See dealer for details.